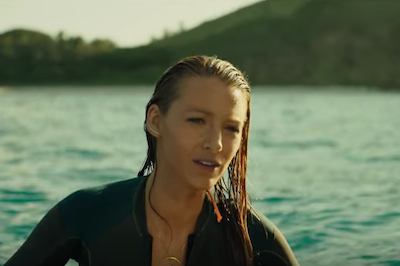 Blake Lively filmed the shark horror for almost eight weeks in Australia, she stayed on a diet, trained very hard, and every day she looked better and better. “Being in waves like that, swimming like that, doing such long takes like that all the time — I became so much stronger and more fit by the end of production,” she spilled in her interview for "Hollywood Life." To get into shape, Blake began working with trainer Don Saladino, who helped her with the workouts and diet. She trained from five to six days a week, focusing on strengthening her body and core. Lively’s training leading up to the movie was intense, however, during production, it looked like she was working even harder. “I was working out 13 hours a day because the shooting was working out.” – Blake tells "Hollywood Life." A healthy diet was also very important in helping Lively stay in shape. According to her personal trainer, Don Saladino, Blake doesn’t focus on the number of calories, but throughout the day she eats nutrient-dense, organic and balanced gluten-free meals, and pays close attention to the foods she eats. Blake starts her day with a glass of water, which helps her stay hydrated through the day. 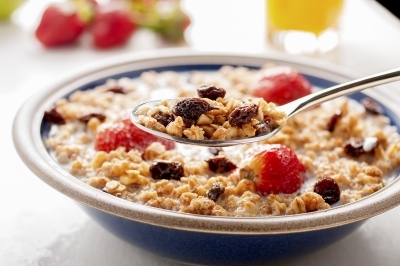 She likes gluten-free breakfast meals include eggs cooked in coconut oil or oats mixed with fresh fruits. She cooks a lot of her own meals, and she really pays attention to the foods she puts into her body. So, if you want to have a bikini body like Blake Lively, load up on nutrient-dense meals, eat healthy and organic foods like vegetables, fruits, eggs, gluten-free foods, and coconut oil. We asked our dietitian team to prepare a few recipes similar to Blake’s favorite to help you get slim just like the Hollywood Star. Enjoy and let us know if it's working. Get slim like a Hollywood Star. 1. A glass of water with lemon. Lemon is natural energizer; it hydrates and oxygenates the body so it feels revitalized and refreshed! Health benefits of lemon come from the nourishing elements like vitamin C, vitamin B, phosphorous, proteins, and carbohydrates. In Ayurvedic Medicine, warm water with lemon has long been touted as a body cleanser. When you drink it first thing in the morning on an empty stomach it immediately revs up your digestive system and cleanses your body. 5 slices of lemon - add to water and let your drink stand for a while. If you have never poached eggs before, you’re in for a pleasant surprise at how easy it is. Pour in enough water to come one inch up the side of a saucepan. Add one teaspoon of kosher salt and two teaspoons of vinegar and bring to a simmer over medium heat. Meanwhile, crack a very fresh cold large egg into a custard cup. When the water is at a simmer, stir the water in one direction until the water is all smoothly spinning around. Carefully slide the egg into the center of the whirlpool. The swirling water will help prevent the white from “feathering,” or spreading out too much in the pan. Cover the pan and turn off the heat. Allow to cook for five minutes. Using a slotted spoon, remove the egg from the water. And that’s it! Perfect poached eggs every time! Assemble the Pico de Gallo: Stir together the onion, tomato, jalapeño, and cilantro. Drizzle with half of lime juice and a pinch of salt. Stir to combine. Taste and add more lime juice and/or salt as needed. Assemble the Baja Eggs Benedict: Toast the Three Bakers 7 Ancient Grains Bread. Place a portion of the red pepper on each piece of toast. Divide the avocado slices and place them on top of the pepper. Add the poached egg, salt and pepper to taste. Top each Eggs Benedict with a big scoop of Pico de Gallo and serve. Blueberries are not only popular as a super food, but also repeatedly ranked in the U.S. diet as having one of the highest antioxidant capacities among all fruits, vegetables, spices, and seasonings. If you want to maximize your antioxidant benefits from blueberries, go organic! Organically grown blueberries turned out to have significantly higher concentrations of total phenol antioxidants and total anthocyanin antioxidants than conventionally grown blueberries, as well as significantly higher total antioxidant capacity. Today, the benefits of eating oats have made headline news. Lowering cholesterol, high (soluble) fiber, low fat, low GI, are just a few benefits of eating oats. Oatmeal can be eaten in many different ways starting with breakfast and served as a dinner dessert. We have a bowl of gluten free oatmeal with fruits just for you. Set a saucepan over high heat. Pour in the milk, water and add vanilla extract. Bring the liquids to a boil. Once the liquid is boiling, pure in the oats and stir. Turn down the heat to low and simmer the oats, stirring every few minutes, until the liquid is fully absorbed, about 15 minutes. Top with your favorite fruits. Topped with crunchy slaw and piled high on Three Bakers Gluten Free Whole Grain Hamburger Buns, pulled pork is the perfect slow cooking dish. This warm and comforting recipe is so easy to pop into the slow cooker in the morning before a busy day and yields enough pulled pork for extra servings on another day. Got to love that! The creamy slaw used to top the sandwiches gives a bit of crunch and sweetness, but also makes a great side dish. In a slow cooker, stir together the onion, ketchup, vinegar, brown sugar, tomato paste, paprika, Worcestershire, mustard, garlic, and pepper. Add pork to sauce mixture in a crock, turning to coat well with sauce. Cover slow cooker with lid and cook on low setting for 8 to 10 hours or until pork is very tender. Transfer pork to a large bowl or rimmed platter. Pull pork into shreds with 2 forks, discarding any fat that needs to be removed. Return the shredded pork to the slow cooker and toss with thickened sauce to combine. Creamy coleslaw: In a bowl, mix together mayonnaise, vinegar, sugar, salt, and pepper. Add sliced cabbage. Mix cabbage with sauce until well combined. 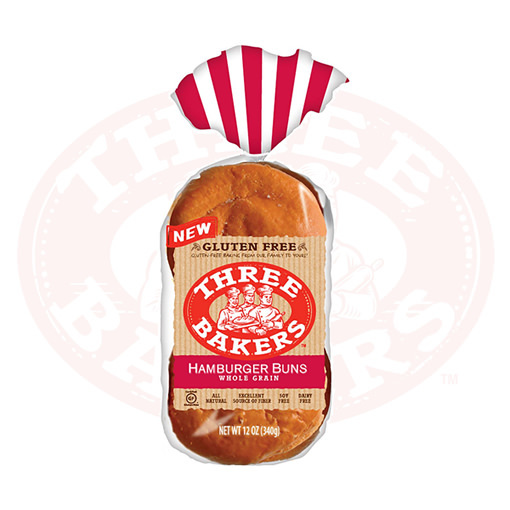 Assemble sandwiches: Spoon the pulled pork onto the bottom half of the Three Bakers Whole Grain Hamburger Buns. Top with a scoop of coleslaw and the bun on top. Serve remaining coleslaw on the side. J., Helin, “12 Things Blake Lively Did to Get the Body She Has Now,” Cosmopolitan, June 24, 2016. *The information available on ewellnessmag.com, including text, graphics, and other materials are for informational purposes only. Reliance on any information in ewellnessmag.com is at the users own risk. Sponsored product placement may appear in the article. The visitor of this website acknowledges that the information available on or through ewellnessmag.com is not and is not intended to be a substitute for professional medical advice. Copyright © 2016 Brawo Press, Inc. All rights reserved.